Real reclaimed wood is very expensive and can be difficult (and therefore costly) to install. However, people still want that authentic reclaimed look and feel which is why we have developed special techniques using our skilled craftsmen to handwork a sustainable reclaimed wood floor effect. Using advanced modern methods we've made this floors engineered meaning they're suitable for use with underfloor heating, ethically sourced and have approval of the Officers for Grade 1 Start and other listed buildings. 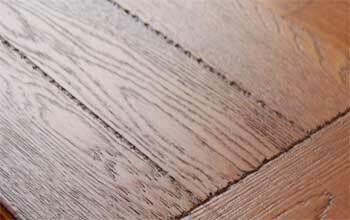 For more information on our antique reclaimed flooring call 01666 504 015.